It can feel very stressful going back to work: networking, knock-backs, interviews, and the inevitable pressures that a new job brings, no matter how happy you are to be back. We're used to seeing stress as a bad thing to be avoided. 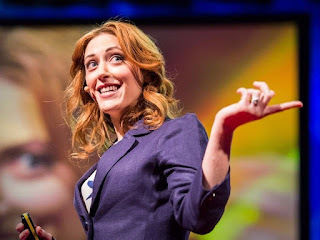 That's why I love this 2013 TED Talk by Stanford Health Psychologist Kelly McGonigal. She explains how new research has found that how we think about stress transforms our experience of it - stress may only be bad for you if you believe that to be the case. If we see stress as helpful, it can help us to be more courageous and to rise to a challenge. She also explains how caring for others makes us more resilient - less surprising, but good to hear the research!